Two primary sources for learning to read music are school programs and at home piano lessons. Public school music programs have been in decline since the 1980's, often with school administrations blaming budget cuts or needing to spend money on competing extracurricular programs. Prior to the 1980’s, it was common for homes to have a piano with children taking piano lessons. Even home architecture incorporated what was referred to as a "piano window" in the living room which was positioned above an upright piano to help illuminate the music. Stores dedicated to selling pianos are dwindling across the country as fewer people take up the instrument. In 1909, piano sales were at their peak when more than 364,500 were sold, but sales have plunged to between 30,000 and 40,000 annually in the US. Demand for youth sports competes with music studies, but also, fewer parents are requiring youngsters to take lessons as part of their upbringing. Music electronics are another aspect of musical decline as the many untalented people we hear on the radio can’t live without autotune. Autotune artificially stretches or slurs sounds in order to get it closer to center pitch. Many of today’s pop musicians and rappers could not survive without autotune, which has become a sort of musical training wheels. But unlike a five-year-old riding a bike, they never take the training wheels off to mature into a better musician. Dare I even bring up the subject of U2s guitarist "The Edge" who has popularized rhythmic digital delays synchronized to the tempo of the music? You could easily argue he’s more an accomplished sound engineer than a talented guitarist. 2) music and the arts are too expensive (the little lie). Jon Henschen is President of Henschen & Associates, a Twin Cities-based firm that matches financial advisors to independent broker dealers. 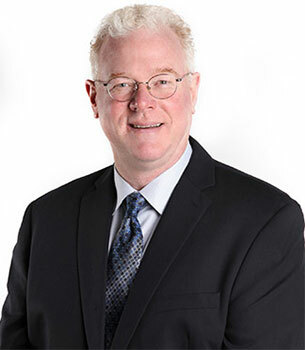 He has more than 25 years of experience in the financial services industry and has worked as a registered financial advisor in both the independent and wirehouse channels. Jon has been featured in numerous financial publications, including the Wall Street Journal, Bloomberg News, Reuters, and the New York Post. This post The Tragic Decline of Music Literacy (and Quality) was originally published on Intellectual Takeout by Jon Henschen.